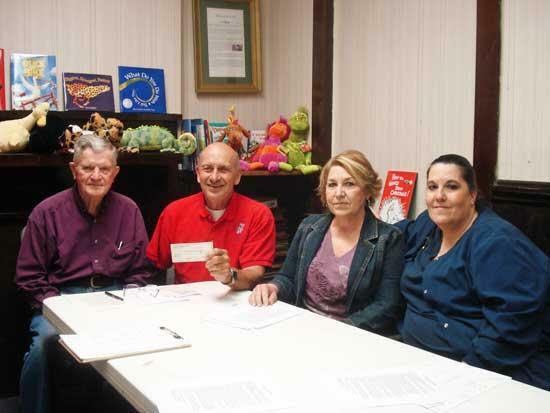 Pictured left to right are Winfred Gaither, Roger Turney, Rita Davis and Tina Fletcher. SAVE would like to thank Auburntown City Council for their recent donation of $500. Their support for our agency and the victims we serve means a great deal. When speaking with Mrs. Rita Davis, she stated the vote to donate was unanimous. Thank You Auburn for assisting in our fight to stop domestic violence in our county. You are truly a great example of government leadership working for the people.